AMC can’t match The CW when it comes to the amount of TV shows based on comic books that it airs, but it’s still hard to see the network as anything but a haven for comics when its biggest show is its Walking Dead adaptation. Plus, the first episode of Preacher is airing this weekend, and that’ll bring AMC’s total number of comic book shows up to an impressive two (two and a half if you count Fear The Walking Dead). 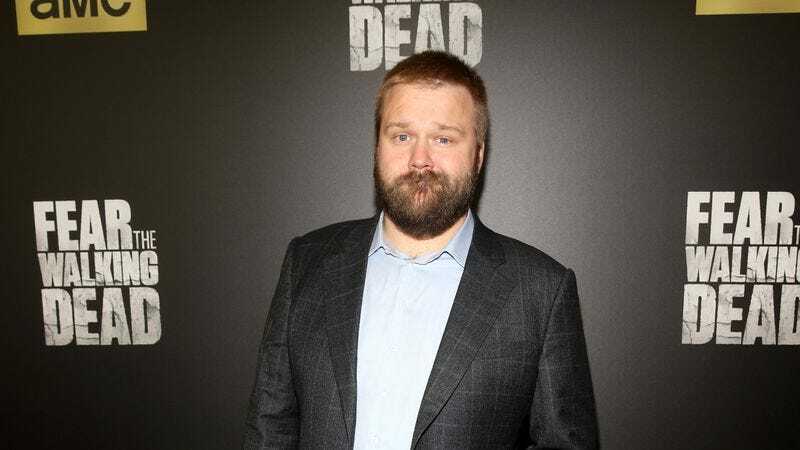 AMC also has Comic Book Men, which isn’t a comic book show as much as it is a show about comics, and now the network has announced it’s making another show about comics that’ll be produced by The Walking Dead’s Robert Kirkman. Take that, The CW. This comes from Variety, which says the show will be a documentary series tentatively titled Heroes And Villains: The History Of Comic Books. It will reportedly consist of six episodes that will “explore the stories, people, and events that have transformed the world of comic books,” including “origin stories” and “the untold history behind iconic characters.” It will also cover “a wide range of topics including pop culture, politics, race, gender, and sexuality”—presumably through a comic book lens. There have been a number of shows like this in the past, with PBS airing a multi-part documentary on comic book history several years ago, but given AMC and Kirkman’s involvement, this one will probably extend further past the world of superheroes than these comic book histories usually do.